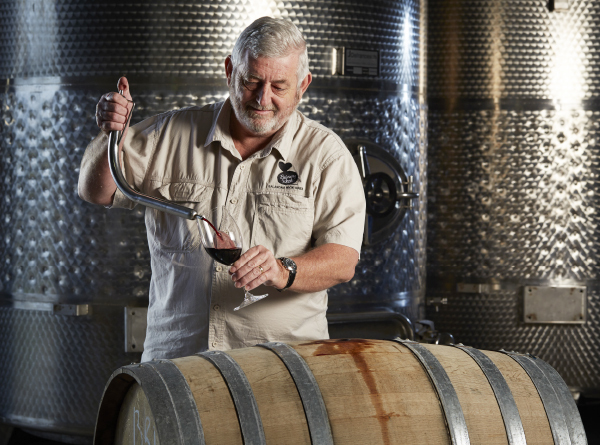 Balancing Rock Wines is the Granite Belt’s newest Cellar Door, having been open since Easter 2017 – the excitement and love of wine is in exploring something new! 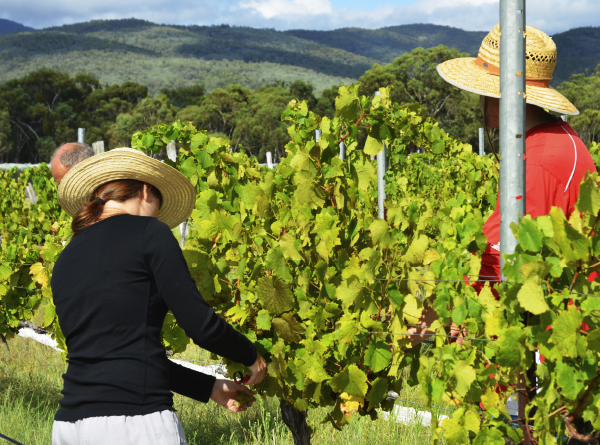 Situated just beyond Ballandean and close to two other excellent Cellar Door experiences as well as the chocolate shop it makes for a great half-day out. Plus, it is only minutes from Girraween National Park. 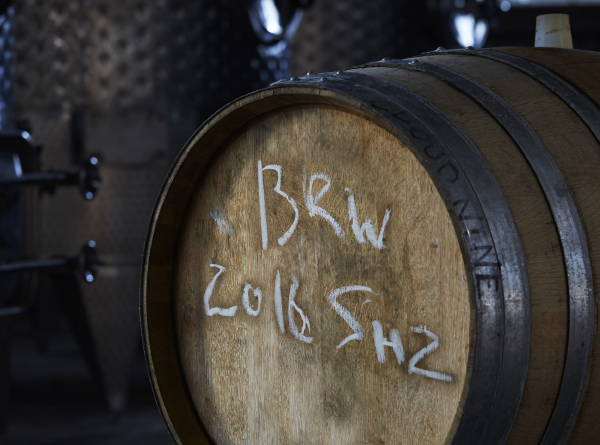 Be delighted by the wine; be inspired by the landscape, views and vineyard; and enjoy the Cellar Door experience from the owners, David & Lori Broadbent, and their brave story of love behind the label. 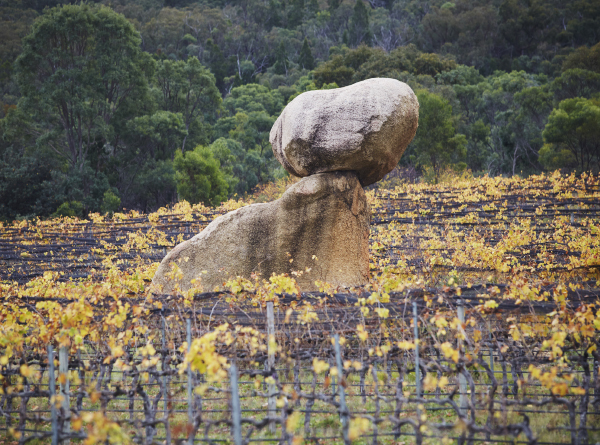 Visitors are most-welcome to stroll through the vineyard to Balancing Rock – the label takes its name from this amazing natural granite structure which sits among the premium Shiraz vines. The rock assumes the role of the vineyard’s guardian – the ever-watchful protector. The vineyard has been operating for more than 20 years, producing a range of individual, estate-grown, vegan wines, including a beautiful Campfire series, a Rock Shiraz, Pinot Gris, Verdelho, a lovely Sparkling and a very special Reserve Sagrantino. Wine styles: Sparkling, Whites & reds. Our cellar door is open to the public Friday through to Monday, providing a truly indulgent taste experience that’s best enjoyed in the company of great friends and family. Come and taste our unique range, including Campfire Red, The Rock Shiraz, Reserve Sagrantino, Campfire White, Verdelho, Pinot Gris and Sparkling. The cellar door is also the starting point for a stroll through the vineyard, taking in breathtaking views of the local area and, of course, the famous rock that gave our winery its name. We’re open to the public from 10am until 4pm, every Friday through to Monday. We also open on public holidays (except Christmas Day, Good Friday and Anzac Day) and every day during school holidays. Stanthorpe is the heart of the Granite Belt wine country. It is the highest elevated wine district in Australia, sitting over 900 metres above sea level. A mining rush in 1872 gave Stanthorpe its name: stannum is Latin for tin and thorp is English for village. Grapes have been grown in the Granite Belt since the 1870s and the region is steadily developing a national reputation as a leading wine producer. The Granite Belt produces delicious, cool climate wines; meaning high midday heat that ripens the grapes and low pre-dawn heat, or cool nights, in the growing season which ensures the grapes hold onto their natural acidity. 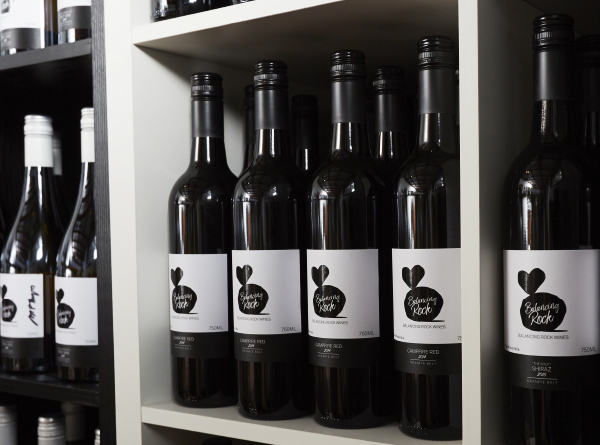 You may be familiar with wines from other cool climates like Tasmania and the Mornington Peninsula.